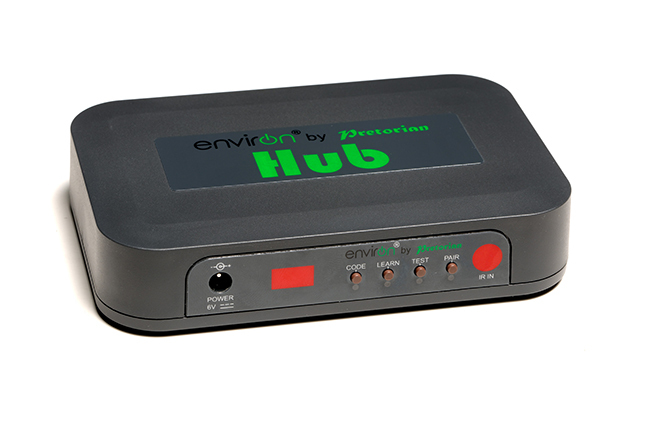 EnvirON Hub is the heart of almost all EnvirON environmental control systems. It is normally placed in direct sight of the TV and/or music system if infra-red (IR) control is to be used. It is permanently powered via a supplied universal wall adapter so that it’s always available. Once configured, it requires no further attention. Its purpose is to seamlessly translate wireless signals from any of the EnvirON input devices into either infra-red to control the TV/ music system, or into other wireless signals to control the various EnvirON output devices which may make up the system. The user is unaware of this process- and may even be unaware of the existence of Hub in the system. All the user is interested in is that when a particular button is tapped or switch pressed, the required activity takes place. Hub is the product that makes it possible. When used with IR appliances, Hub works as a universal remote control. Just like any ‘learning’ remote, it can learn the codes from your existing handheld remote control. Because disabled users often have difficulty entering two or three digit TV channel numbers quickly enough for the TV to accept, Hub has eight ‘macro’ codes which can each learn up to four individual key presses on the standard remote. So, for example, you could program 1-0-1 to put the TV onto channel 101 with the press of a single switch or button. 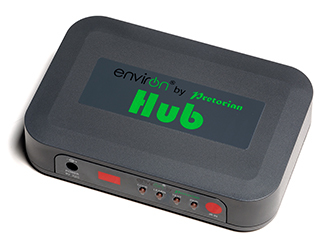 Because Hub is permanently positioned in sight of the TV and receives its inputs wirelessly, the EnvirON input devices do not need to be pointed at the TV- a task that can often prove particularly difficult for users with disabilities. This means that the input devices can be positioned without regard to direction, including mounting them on a wheelchair. ‘Learning’ infra-red remote control can learn up to 16 individual codes from almost any TV or music system. Can also learn up to 8 ‘macro’ codes comprising up to 4 individual remote key presses, allowing the user to access higher channel numbers by pressing a single button. Forms a ‘bridge’ between EnvirON App and other EnvirON products. Can be paired with up to 6 EnvirON transmitters such as Scanning Remote and Wireless Switch. Permanently powered from supplied wall adapter. 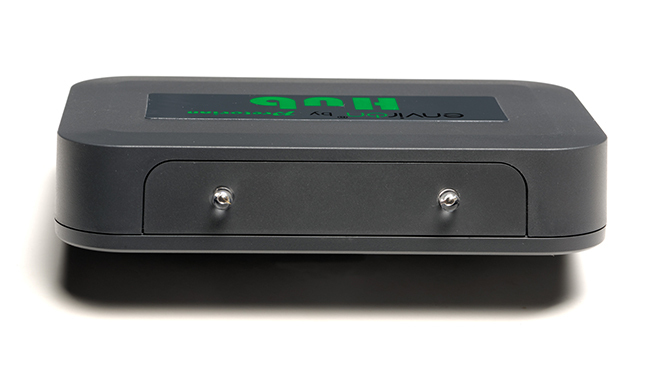 Infra-red environmental control of TV or music systems. 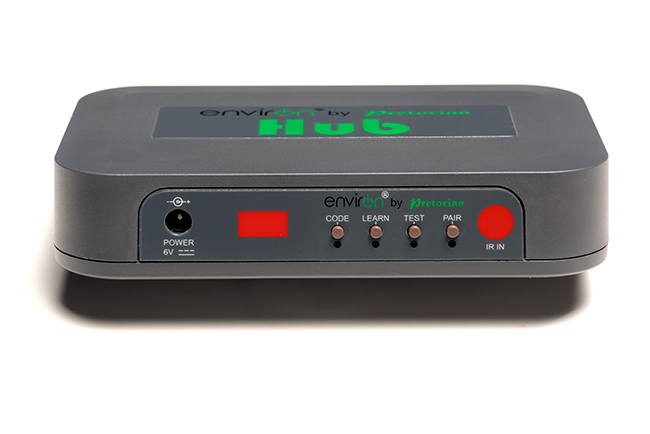 Also acts as the interface between the EnvirON app running on iPhone/iPad and all types of EnvirON output device. As the name suggests, it’s the Hub of the EnvirON system and will be required in most configurations.